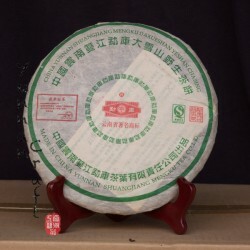 Mengku Rong Shi tea factory is based in Shuangjiang ,south-west of Yunnan province. It is a family-run business for the last three generations which is more than a hundred years. 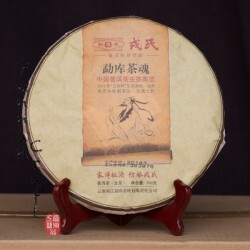 Nowadays Rong Shi still follows the traditional way of of tea production and besides organic black tea is mainly focused on Sheng Pu-erh tea. 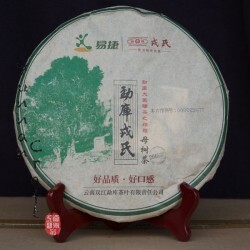 Meng Ku Rong Shi There are 10 products. 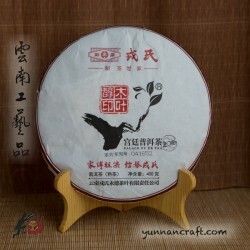 Tea with very light smoky scent and slow but lasting Hui Gan. 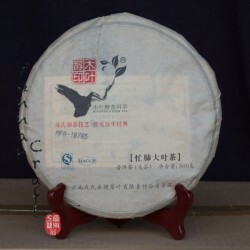 After few years stored in Lin Cang and 3y in Kunming the tea has very comfortable medium strong Ba Qi. 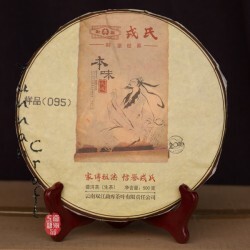 The name "Original Flavor" is very close but not exactly as we use to drink from Rongshi tea company. 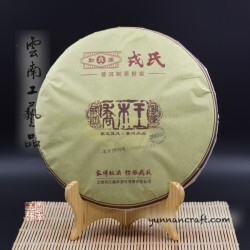 It more reminds Bing Dao mixed up with typical Rong Shi tea material. Very slow but significant Hui Gan . 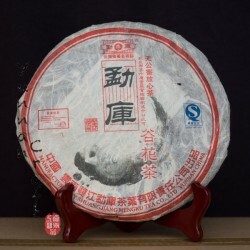 Tea soup with chrysanthemum fragrance has a still bit bitter taste, so highly recommended for storage. 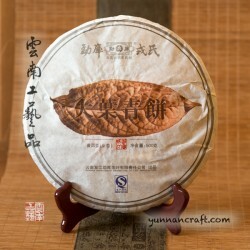 Very pleasant smoky and sort of nutty flavor with strongly fragrance of camphor. 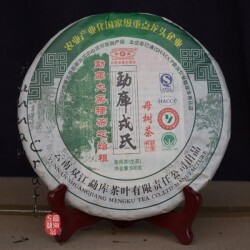 This tea is made of wild old growth tea tree leafs from the Big Snow Mountain.